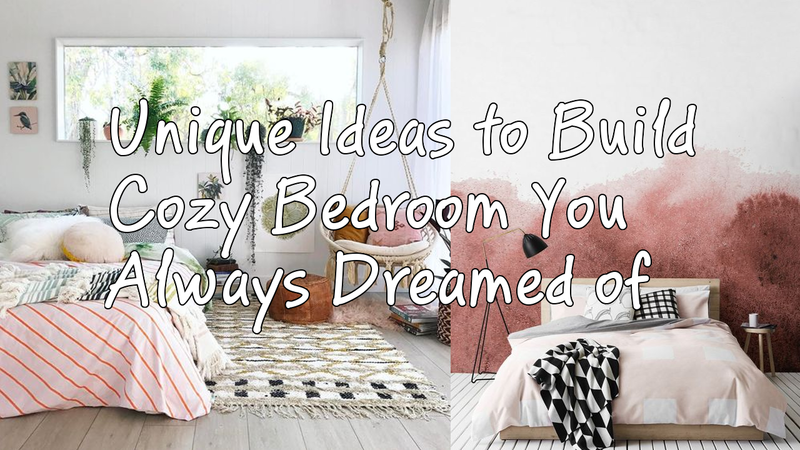 Do you want to make your dreamed cozy bedroom? Such a bedroom will make you always comfortable to sleep and spend your time there. But don’t only buy my words on this blog post. Because I already cover more than dozens list related to bedroom, decorating, and organizing. Go to front page or search bar to start your exploration. Good Vibes can be a unique idea for building your cozy bedroom that you dream of. To accentuate it, put a Good Vibes pillow on the bed. Don’t forget to put white blanket, bedcover, and two white pillows on the white bed. It looks unique with decorative lights hanging on the wall. Wooden flooring looks very nice to mix and match with this amazing bedroom idea. You can feel so cozy and comfortable during staying in this bedroom. Why don’t you create a cozy bedroom with this unique idea? You should make your dream bedroom glowing and shining at darkness. You may set bed netting around the bed. The bed netting is installed led lights so that it can light when a darkness comes. It makes the situation so cozy and romantic. Moreover, there is a sentence on the wall creating a romantic situation in this bedroom. Don’t forget to hang on unique paintings on the wall. It improves its uniqueness of this bedroom. To create a cozy bedroom that you dream of, you can include a romantic impression to your bedroom. It can be a feature to build a cozier bedroom. The romantic impression can be got from brown bed netting, a chandelier on the roof. The choice of bed must be matching and suitable. A white bed with brown details look great for such a romantic bedroom designing idea. You should gloomy lights to accentuate romantic impression in this bedroom. Bed netting is useful to make your dream bedroom cozily. The bed netting is beneficial to protect from mosquitos and dust. This is working as an accessory and ornament to make it look more beautiful. Put white bed netting around the white bed. It looks cute and nice to embelish your bedroom interior and design. Dominate your bedroom with all about white decoration and furniture items. It feels so calm, peaceful, and pleasant during staying or sleeping in this bedroom. The last unique design for building a cozy bedroom that you dream is inserting fur detail in this bedroom. The fur detail is dominated by bedcover, blanket, and bedroom carpet. It makes your cold days feel warmer while you’re staying in this room. Put white and stripped pillows on the bed to balance a fur – detailed design in this room. Wooden furniture items look amazingly marvelous when it is combined with brown carpet flooring. No reasons are explained to refuse such this design.